Giovanni Foti is a partner at Accuracy. He has over 25 years of professional experience in audit and financial consulting and is specialised in Fraud Investigation & Dispute Services. Giovanni focuses on fraud investigations, forensic accounting and compliance risk management. As a Certified Chartered Accountant (Dottore Commercialista), he has performed valuations and financial analysis, appraisals and fairness opinions. 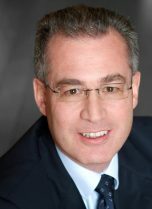 Before setting up Accuracy’s Italian office, Giovanni worked as an Executive Director in the Fraud Investigation & Dispute practice of Ernst & Young, focusing on fraud investigations, litigation, arbitration, expert witness, forensic accounting and compliance risk management. Prior to joining the Fraud Investigation & Dispute Services, he gained extensive experience as an auditor in Arthur Andersen. Giovanni is also a Certified Chartered Accountant and Certified Public Accountant (CPA). Giovanni speaks Italian and English. Giovanni has been involved in analysis and computation of accrued damages and forgone profit in litigation and arbitration cases as well as analysis and validation of the gross margin of carve-outs in sell-side, litigation and criminal proceeding situations. Financial valuation of losses resulting from a delay to delivery and of warranties and penalties of long-term contract. Valuation of a carve-out business of a French multinational operating in rail transport markets and expert appraisal for the contribution-in-kind of the business of train maintenance.